Demonstrate D&I program results with boardroom-ready benchmarking, analysis, and reporting. An integrated approach helps capture the outcomes of your D&I efforts. Affirmity’s Diversity Insights solution enables teams to deliver accurate evidence of business impact to program leaders. Manage and distribute workforce data. 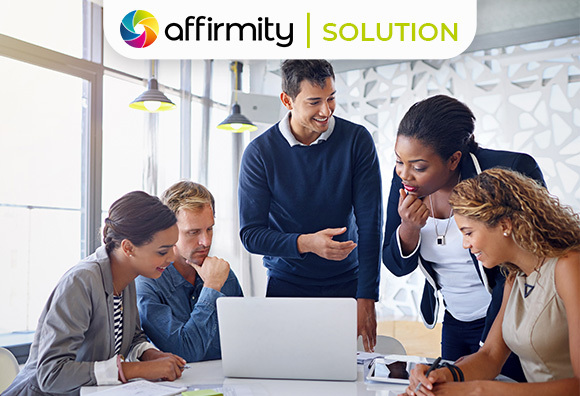 Read how Affirmity’s suite of solutions produce valuable insight for informed D&I decision-making.